Growing up, I always rode the cheap bike from Costco. I didn’t know what it was like to actually enjoy biking until I ended up with a Trek 7.3 for my birthday last summer. SRCCON is pretty much my favorite conference of all time. The first year was in Philly, and the second year was in Minneapolis. 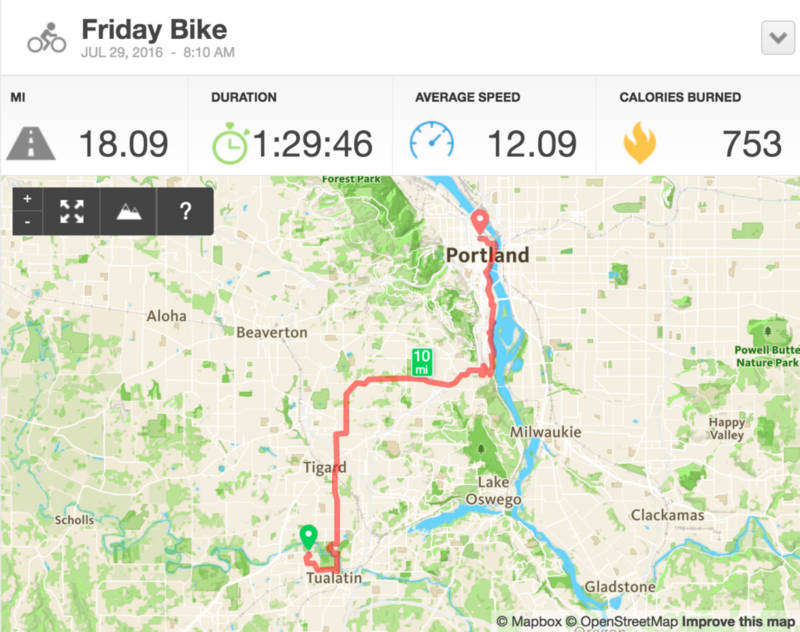 This year, SRCCON ended up in Portland, on my birthday to boot, which meant I could do the unthinkable: attend SRCCON by bike. As it turns out, there’s a great bike path for all but a quarter mile or so of the ride. From Tualatin Community Park, ride through Cook Park and then along Hall Blvd. You’ll go past the Tigard Public Library, over 217, and then eventually end up on Oleson Rd. There’s a short jaunt on Garden Home, then you end up on Multnomah Blvd for quite a while. The one sketchy part of the route there is where Multnomah turns into Terwilliger, and you have to bike on the odd combo off/on-ramp. From Terwilliger, you turn right onto Barbur for a short while, then drop down to the waterfront near Willamette Sailing Club. It took me about an hour to get to this point. The waterfront then connects you to whatever part of downtown you want to go to. Surprisingly, Google Maps doesn’t just reverse the route for the ride home. 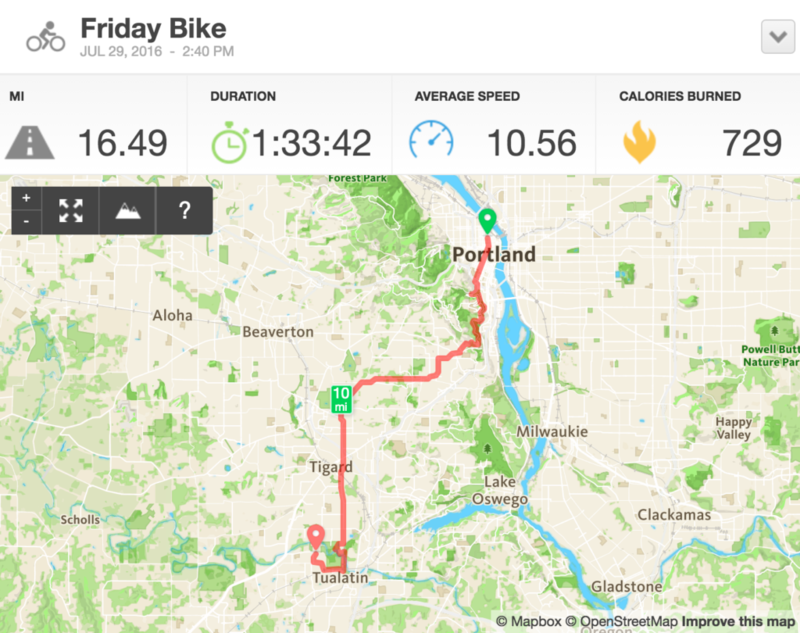 Coming from the Pearl, I ended up taking Broadway to Terwilliger, where I rode in the shade for quite a while. After Terwilliger, you take Capitol Hwy to Multnomah Blvd again, then reverse tracks home. Awesome way to spend the day!